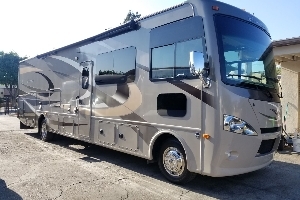 When you think of a relaxing California vacation think fun and excitement in an RV rental, think Expedition Motorhomes and 1st Choice RV. 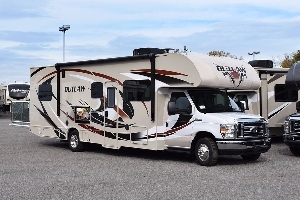 Our RV prices are unbeaten and our quality privately owned units are the standard for the industry. 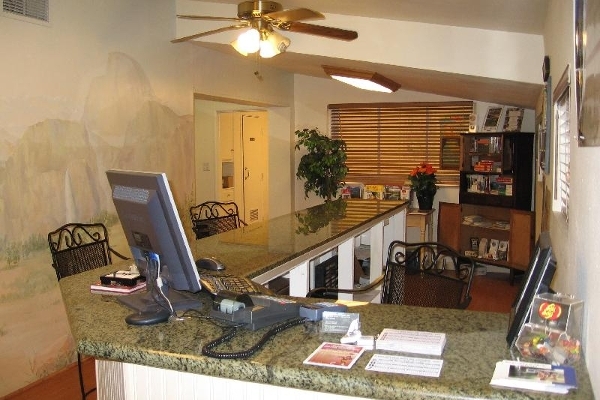 We are just minutes from Los Angeles International Airport!! 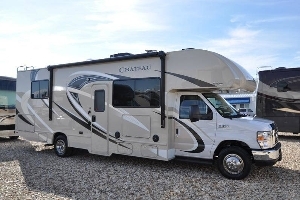 We rent Trype A, C, Fun mover motorhomes by Fleetwood, Coachmen, Thor and more. With a new line of diesel pusher and triple slide gas units, call (818) 225-8239 to book today! Unlike many of our competitors, who follow car rental practices of overbooking and promising you "What's left on the lot" when you arrive. We will reserve a specific unit for your vacation. You can rest easy knowing the RV you booked is the one that will be waiting for you on arrival. In the unlikely event the RV becomes unavailable (through an accident or events out of our control) we will upgrade you at no additional cost. Find us under the blue awning. Fleetwood Jamboree with one slide out, 2 Queen and 2 Double bed, full kitchen, full bathroom, great unit. Class A, gas, 36ft, with 3 slide outs. Queen bed in rear bedroom, bunk beds, couch and dinette. Full kitchen, Full Bathroom. 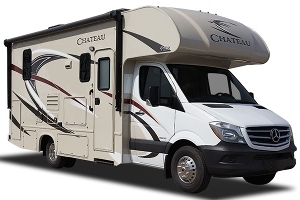 We offer Class A and C motorhomes by Coachmen, Thor, Fleetwood, Mercedes and more. With a new line of diesel pusher and triple slide gas units. We have all the accessories you might need for your vacation available for purchase or rent. Our Whole fleet is on our website so check it out. You can see inside each and every unit! In the heart of Calabasas, we are located just minutes from the Famous Malibu beach and only 40 minutes north of LAX. 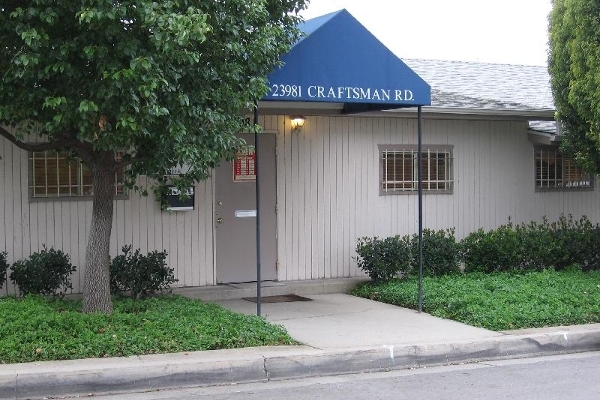 We have a second location in Newport Beach, just minutes from the John Wayne Airport and 40 minutes south of LAX. 1. All drivers must be minimum 25 years of age at time of rental, and possess valid drivers license. 2. Renter must be present, and provide a major credit card and picture identification at time of pick-up. 4. 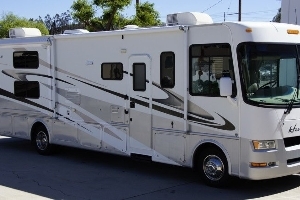 Only Authorized Driver(s) are permitted to drive & operate the motor home. Authorized drivers are defined as only those drivers expressly listed and designated as authorized drivers within this contract. 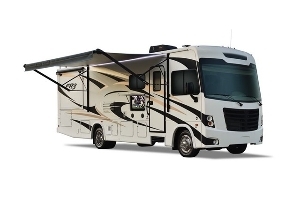 Renter relieves Expedition Motor Homes, Inc and 1st Choice RV, and its insurance carrier(s) of any liability incurred while the motor home is driven or operated by anyone other than an authorized driver. 5. Renter certifies that all the information provided in the Reservation Application and in this contact is true and accurate. Any inaccurate or fraudulent information voids this rental contract. 1. The reservation confirms rental dates, time, and a general vehicle type range. The reservation does not reserve a specific vehicle, size, type, and color, floor plan or model year. 2. 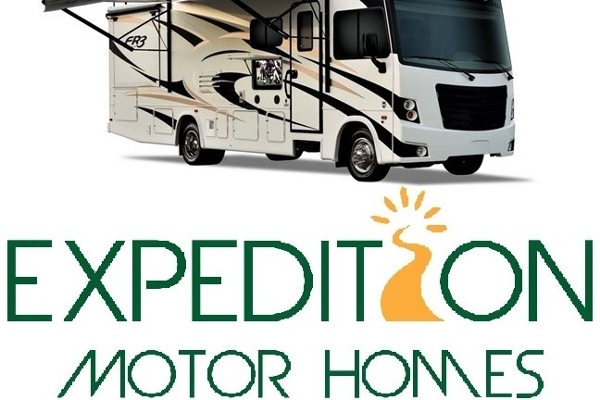 Expedition Motor Homes, Inc. and 1st Choice RV reserves the right to fill reservations within the category reserved, and may substitute upgraded coaches if the reserved motor home is unavailable at the time of departure. 3. 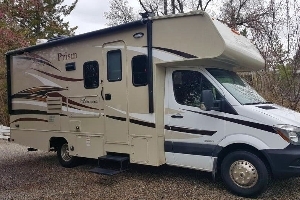 The following items are optional features of the motor home and are not included in the rental unless expressly purchased as rental options: generator (except as noted on page 5 of this addendum), awning and rear roof ladder. 3. Diminution of the vehicles value caused by damage to it or repair of it, (Not covered by insurance). 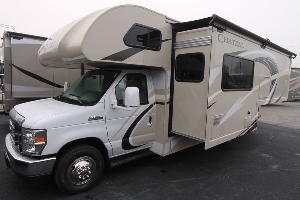 The diminution in value charge is 2% of the value of the motor home. The value is listed on the Insurance Binder / Endorsement Request Form page of this Rental Contract. 7. THEFT & VANDALISM: You are responsible for loss due to theft or vandalism, or attempted theft or vandalism, of the vehicle and all damage due to vandalism that occurs in connection with a theft. 8. You must report all accidents and/or damage involving the vehicle to us within 6 hours of the occurrence. You agree to pay these charges from credit sources listed in this contract, and assume all responsibility to submit accident reports and claims to the proper authorities. You agree to indemnify us, defend us, and hold us harmless from all claims, liability, costs and attorneys fees incurred by us resulting from, and arising out of, this rental and your use of the vehicle. We make no warranties, express, implied, or apparent, regarding the vehicle, and no warranty that the vehicle is fit for a particular purpose. 1. Full payment is due upon receipt of Rental Contract, and is overdue less than 30 days of departure. Reservations made within 30 days require immediate payment. Renter authorizes full payment to be made by any credit reference listed on the Reservation Application if full payment of contract or Addendum's is not made within 30 days of departure. 2. You agree to pay us, on demand, for all charges due us under this contract, including, but not limited to : (a) a mileage charge based on our experience if the odometer or its seal is tampered with, or disconnected; (b) all expenses we incur in locating and recovering the vehicle if you fail to return it or if we elect to repossess it under the terms of this contract; (c) all costs, including pre- and post-judgment attorneys fees, we incur collecting payment from you or otherwise enforcing our rights under this contract; (d) a 2% per month late fee, or the maximum allowed by law (if lower than 2%) on all amounts due us but not paid upon return of the vehicle; (e) $100, plus $5 per mile for every mile between the renting location and the place where the motor home is returned or abandoned, plus any additional recovery expenses we incur; (f) $25 if you pay us with a check returned unpaid for any reason. We may use your Security Deposit to pay any of these amounts owed us. A $2500 to $3500 security and damage deposit is required before departure, and is payable in cash, check or credit card. This deposit covers any damage to the rented motor home during the rental period, regardless of fault. 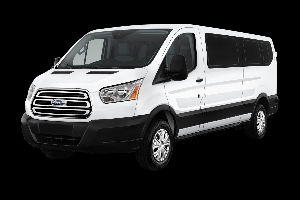 It also covers any additional charges (fuel, additional mileage, additional days, etc.) incurred related to the rental that were not charged elsewhere in the rental contract or rental application, including traffic tickets or other fines incurred. This deposit also covers all costs and our lost time ($75/hr), including pre-and post judgment attorneys, legal & collection fees we incur collecting payment from you or otherwise enforcing our rights under this contract. The deposit may be held until the completion of any legal or collection action. The deposit, or unused portion, is refundable within 14 days. 1. Reservation cancellations over 21 before departure are subject to $100 cancellation fee. 2. Reservation cancellations between 14 and 20 days before departure are subject to $500 cancellation fee. 3. Reservations cancelled less than 13 days before departure are subject to full rental fee. 4. You may reschedule your rental once after submission of application with no fee. 5. Cancellation charges will be taken from any renters funds available: prepayments or security deposit. For safety reasons, all members of rental party are expressly prohibited from use of the roof ladder and roof. Any evidence of use or access of either of these items will result full forfeiture of the Security and Damage Deposit in addition to any damage incurred. 1. Pick up is 1:00 PM to 4:00 PM. Monday through Friday; and 9:00 am to 10:00 AM on Saturday. 2. Return is 9:00 am to 11:00 AM Monday through Friday, and 9:00 am to 10:00 am on Saturday. 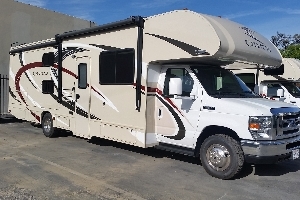 You agree to return the motor home to our rental office, or other location we specify, in the same condition that you received it, except for ordinary wear. 3. If Delivery/Pickup is arranged, ½ hour of time is included in the rate, after ½ hour, the rate is prorated at $50/hr. 4. If the vehicle is returned after closing hours, you remain responsible for the safety of, and any damage to, the vehicle until we inspect it upon our next opening for business. 5. There are no refunds for early returns. There is a $50 per hour late fee. 1. Three (3) hours per day averaged, free generator use. Thereafter, there is a $3.00 per hour charge. You can Prepay for 6 & 10 hr blocks of hours at a discount. See front page of Rental Contract to order. 1. There is a $500 fumigation fee for rentals having any evidence of smokers or pets. This charge is at the sole discretion of Expedition Motor Homes,Inc. 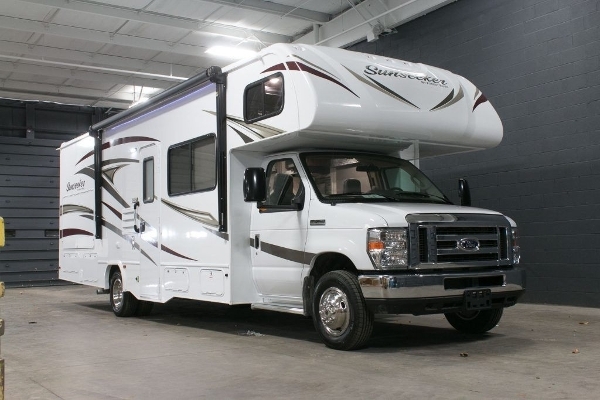 and 1st Choice RV. Our main concern is for the health of subsequent renters. 2. We enforce a strict NO SMOKING and NO PETS policy. 1. The renter MUST provide a written binder from their insurance company within 7 days of pick-up. This binder must indicate that renter and any other additional authorized drivers have at least the minimum legal liability requirements and full comp & collision coverage when using the motor home being rented, for the full rental period. If unable to obtain a binder, please purchase insurance through MBA Choice Insurance. The cost of MBA Choice is anywhere from $27 - $27 per day. Supplemental Liability Insurance for a cost of $14.95 per day, and assume the first $2,500.00 financial responsibility for damage, regardless of fault. 2. Liability Insurance: you are responsible for all damage or loss you cause to others. You may have provided us with an insurance binder indicating that you have vehicle liability, collision and comprehensive insurance covering you, us, and the motor home. Since you have auto liability insurance, we provide no liability insurance unless specifically purchased as an optional coverage. ii)	Damage to the vehicle is covered by MBA Choice. The policy has a $2,500.00 deductible, per occurrence. iii)	Auto liability insurance is part of MBA Choice, and provides coverage for bodily injury and property damage with limits no higher than the minimum prescribed by the vehicular financial responsibility laws of the state where the damage or loss occurs. MBA Choice covers $2,000 PIP or medical payments, and statutory limits of uninsured and under-insured motorist coverage. Coverage applies in the USA and Canada. Coverage is void if you violate the terms of this agreement or if you fail to cooperate in any loss investigation conducted by us, or the insurer. Allowing an unauthorized driver to operate the vehicle terminates our liability insurance coverage. 4. 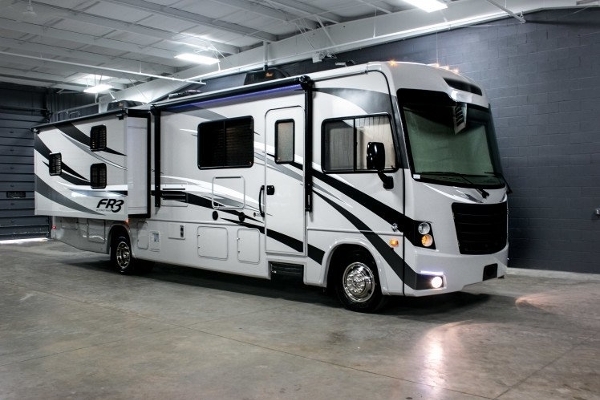 Renter will pay all damages regardless of fault, and understands that Expedition Motor Homes,Inc. 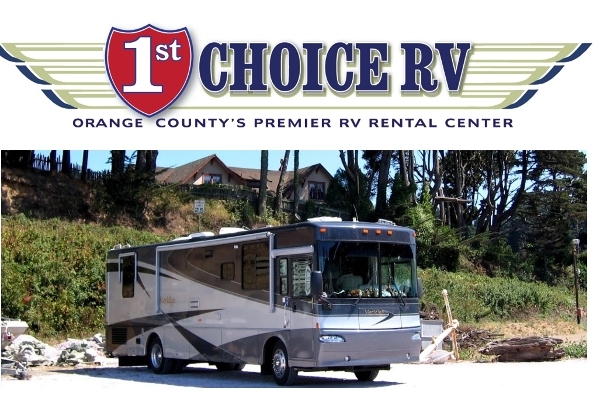 and 1st Choice RV is not an insurance company or agent. Renter assumes responsibility to file all claims with the insurance co. and seek any reimbursement from them. 1. All desert areas during hot periods, including Death Valley. During these periods, many areas are not habitable and could pose a danger to humans. 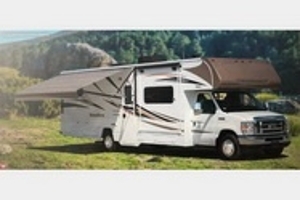 Consult Expedition Motor Homes,Inc. 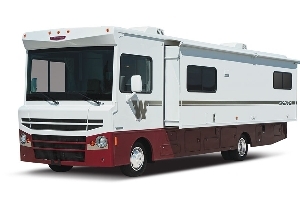 and 1st Choice RV for complete list of restricted areas. 2. Gatherings or events, which could pose a danger to humans. 3. Non-Public roads, unpaved, dirt roads and off-road areas. 5. Renter is prohibited in use of the motor home associated with any illegal or unsafe purpose, including consuming alcohol while driving. 6. Security & Damage Deposit will be forfeited if any portion of this section N is violated. 1. Expedition Motor Homes, Inc. and 1st Choice RV will dump tanks and flush lines when motor home is returned, as part of the cleaning charges. Normal fee is $99.00. 2. 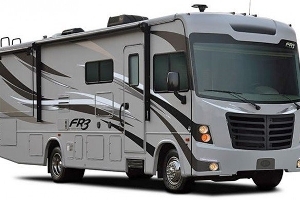 Should the RV be returned with holding tanks clogged, a fee of $250 will be charged. In addition, the renter will be responsible for any tickets or fines levied in conjunction with waste disposal. A fee to clean the motor home upon return has been included in this contract. 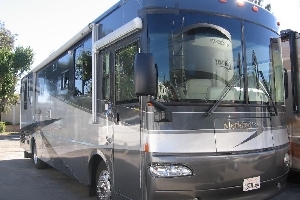 If the motor home required additional cleaning beyond 3 hours, the additional fee will be $50/hr. 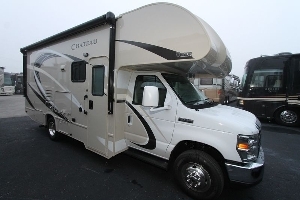 The fee is at Expedition Motor Homes, Inc. and 1st Choice RV's sole discretion. 1. There are no refunds for unused miles. 2. Additional Mileage Charge, in excess of free miles: $.32 per mile for next 250 miles (next 125 miles if based on weekend rate). The next 250 are at @ .78/mile (125 if weekend rate), all miles beyond this are $1.59 per mile. [Trips less than 7 nights are considered our weekend rate]. 1. No warranties are made regarding fuel tank capacity or fuel mileage. 2. All gasoline, diesel or propane refueling during the trip is at customers expense. 3. Motor home is provided with fuel tank touching the ¾ marker. 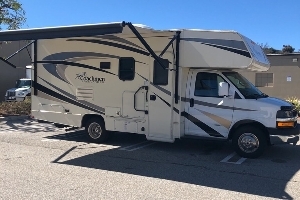 Renter agrees to return motor home with Initial fuel refilled to same level; otherwise the refill charge is at a fixed price depending on level returned (note fuel policy). Fixed price is based on ¼ tank increments. 1. The renter is responsible for checking the engine oil, fluids, and coolant levels at each refueling, as well as reporting any mechanical failures immediately. 2. 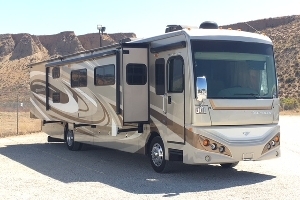 Expedition Motor Homes and 1st Choice RV are not liable for renters expenses due to unforeseen breakdowns beyond Expedition Motor Homes, Inc. and 1st Choice RVs control. 3. 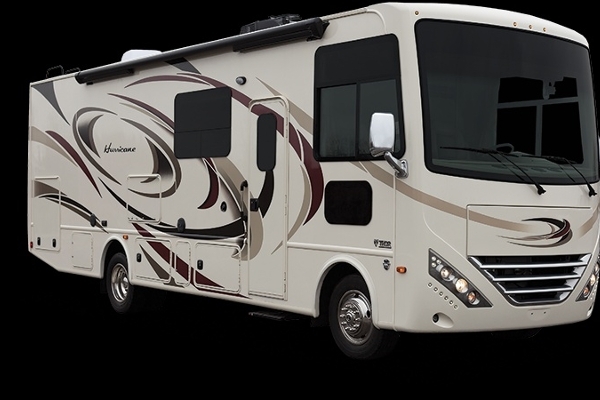 Maintenance expense reimbursement policy is available from Expedition Motor Homes, Inc, and 1st Choice RV. 4. 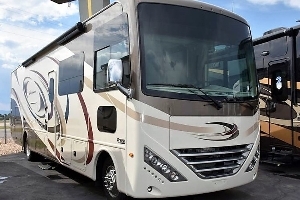 Customer is responsible for all damage or repair due to negligence or failure to provide maintenance while the renter is responsible for the motor home. 5. 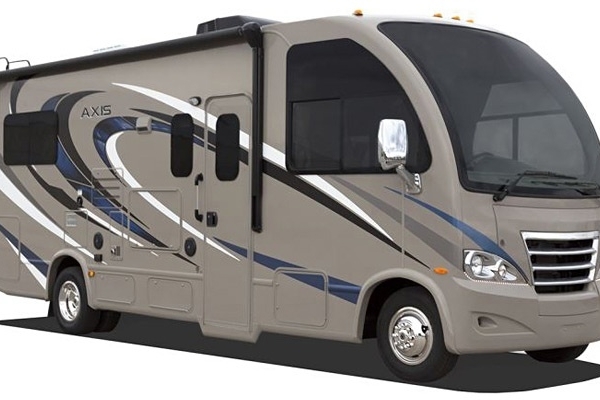 In the event the motor home is in breakdown repair for 12 hours or more, through no fault of the customer, our responsibility to the customer is limited to refund of daily rate or portion thereof. 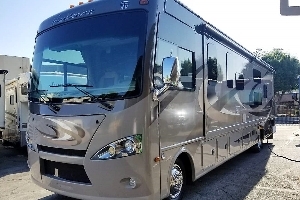 Radio, automatic step, air conditioning, refrigerator, microwave and appliances, cruise control, and generator malfunctions are not considered breakdowns and no refunds are available for repair to these items. 6. 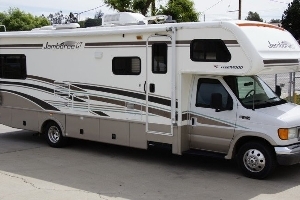 Customer agrees to obtain prior authorization from Expedition Motor Homes, Inc. or 1st Choice RV for all repairs/replacements to the motor home, or the rental will be fully liable for all these expenses, and all damages that may result from improper repair or replacements. 7. Any windshield or window damage will result in replacement of the windshield/window. This is for safety considerations. MBA insurance does not cover this cost, unless associated with collision or comprehensive incident. 8. Renter acknowledges all tires are in proper order upon signing check out form. Flat or leaking tire replacement/repair is the sole cost of the renter, subject to item 6 above, and paragraph C, item 6. 9. Damage below the bumper (top) line and above the windshield (top) line is the sole responsibility of the renter. The renter agrees to financial responsibility for the repair/replacement of all damaged items, per this addendum. T. TOWING OF TRAILERS IS NOT ALLOWED. Some exceptions may be considered on a per rental basis. If approved, the towing charge is $49.00 per week, plus $.10 per mile for every mile traveled (as recorded on motor home odometer). The renter must bring the trailer to be towed to Expedition Motor Homes, Inc. or 1st Choice RV for on-site hook up and inspection. The renter must provide his or her own insurance (binder OK). U. LOSS OF USE due to any of the causes listed below is fully the responsibility of the renter and will be charged to the renter. 1) Return of the motor home by the renter past or before the contracted return date and/or time, 2) Repairs from damage to the motor home that are the responsibility of the renter that cause Expedition or 1st Choice RV to not have use of the motor home, 3) Any other action by the renter that renders the motor home unavailable for use. The rate charged will be our normal daily peak rental rate (complete day) for the period of lost use. Each day of lost use equals 4 hrs labor on the repair invoice/estimate. 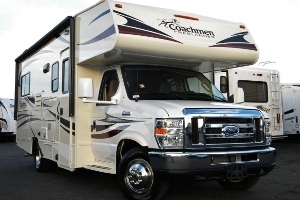 Renter authorizes Expedition and 1st Choice RV to charge their credit card for these charges. Refer to paragraph C-2. 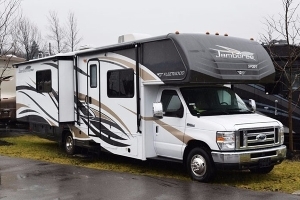 NOTICE: These Costs and Policies automatically constitute a portion of any and all Rental Contracts entered into by Expedition Motor Homes, Inc. or 1st Choice RV and renter(s), and are binding on both parties. All other materials given the renter during the rental period are included as part of this contract. Signature warrants that renter accepts and understands all conditions herein.